This property was sold by Sunshine Sassano. For similar results call Sunshine at (814) 932-3842. 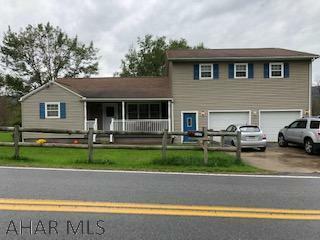 This listing was courtesy of Re/Max Results Realty Group - thank you. Lots of space in this 2-story home on 1.49 acre lot. 1st floor offers office or 4th bdr, full bath with laundry hookup, mud room off 2 car garage and FR. 2nd level offers lg master suite, and 2 other bedrooms and a full bath. Lower level off family room offers another family room for entertaining, a half bath and an outside entrance to large back yard. 2 stairways to 2nd floor. Owner needs it sold.